Young filmmakers, who wish to take up the challenge of recording the great event as Euro 2012 Football Championship, trying out the language of film and cooperating with colleagues from behind are invited to submit projects of short documentaries for Laboratory of document „Beyond Euro 2012”. 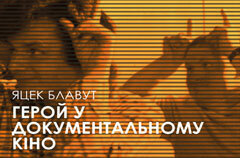 As a result of the Laboratory over a dozen Polish and Ukrainian 3-10 minute shorts will be completed. Based on this, the common film „Beyond Euro 2012” will be created. Not about Football Championship, but about the social phenomena and structural changes associated with it. This historic enterprise has a huge civilization aspect. The subject of the film is what happens beyond the main spectacles. What will remain, when fans and competitors will spread? We want to get a look beyond Euro 2012. Jacek Bławut, Oleksandr Balagura, Sergey Bukovski are the artistic supervisors of the project. The renowned masters and experts of the document are the tutors of the Laboratory. Laboratory session will be held in Kiev and Lviv. The film will be realized till the end of 2012.